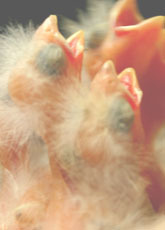 If your bird's eye(s) are swollen, reddened and/or crusty you probably have a form of conjunctivitis in your flock. This disease is most commonly found in wild bird species but has been cropping up in aviaries more often in the last few years. If you can catch the symptoms early enough this disease is very treatable. Conjunctivitis is a general term that refers to the swelling or inflammation of the conjunctiva. The conjunctiva is the thin inner eyelid that covers the exposed surface of the eyeball. All birds have it and you'll probably never see it unless there is a problem with it. There are several possible causes for Conjunctivitis. Simple injury to the eye that has irritated the conjunctiva. This can occur during a fight with another bird or a hit on eye during a night fright. The most common cause is bacterial infection and that treatment should always be administered first. To put it simply, yes it is. 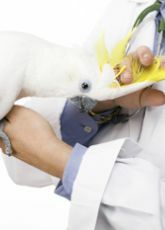 You and your furry friends are not really at risk but it is transmitted from bird to bird fairly easily. Most often Its' transmitted through direct physical contact. However the infection can be rubbed on a perch and picked up by another bird that way, or can be carried on dust and dander to another bird. Once a bird has been brought to health and the cage cleaned there is little chance of re-infection. 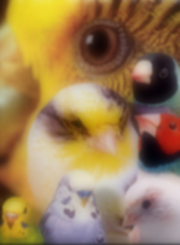 The disease does not live in surfaces for long; it needs a warm body no matter which form your bird may have. What happens if it isn't treated? If you let conjunctivitis go untreated for too long the eyes will eventually swell shut. This makes the bird unable to see to find food and water. In addition to the blindness the infection will often spread to the respiratory tract causing the bird to drowned in its' own fluids. Blindness may be permanent if the infection was severe or not treated early enough. Use Antibiotics. With this particular illness there is no point in trying more natural remedies first. Chances are the bird would be dead before they could take effect. Tetratex is the antibiotic to use. If for some reason this medication doesn't work you will need to consult your local avian vet for a more powerful drug like Doxycycline or Erythromycin. Normally Tetratex clears up the infection very well. 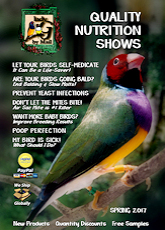 After using any antibiotic it is always wise (especially if you are treating a parrot) to follow up with Probiotics.